I spent part of Wednesday at the showrooms ordering books, which is such a fun visual task/treat. 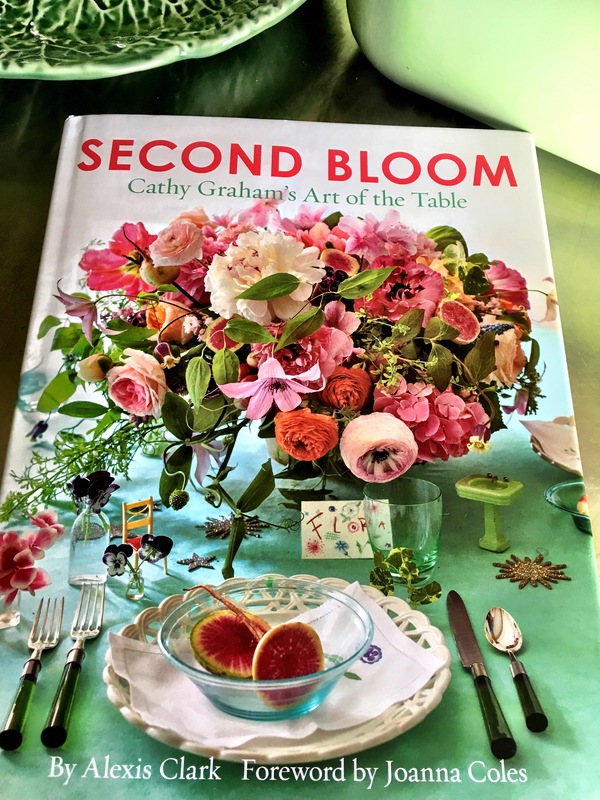 One of the books I have most been looking forward to perusing SECOND BLOOM Cathy Graham’s Art of the Table was part of my day, which made it extra special. I am just getting to know of Cathy’s work, having recently been introduced to her by one of her closest friends, Howard Slatkin. She is a huge fan of the single stem vase, so that alone grabbed my attention. After a quick look through the book, I think/know we have many things in common in the table setting arena and I have found a kindred soul. Page after page of blooms strewn here & there. Disparate objects living amongst the flowers creating an inviting tableau. Copies of the book will arrive soon to the shops. I have been in contact with Kathy about possibly coming to Seattle in the Spring to do a book signing–will keep you posted. Happy Flower Friday all!